If your website domain is something like www.mybrandname.com, the part between the dots being your original company name, it’s good, because it’s unique and points to your company identity directly. However, it’s better if you include high scoring keywords, too. For example, if you’re a London SEO agency titled ‘Fabulous’, instead of Fabulous.com you could use FabulousLondonSEO.com. This makes it easier for people to find your website. If you already have a domain and you’ve been using that for some time, then you should not change it, as it may damage the brand’s reputation and SEO. 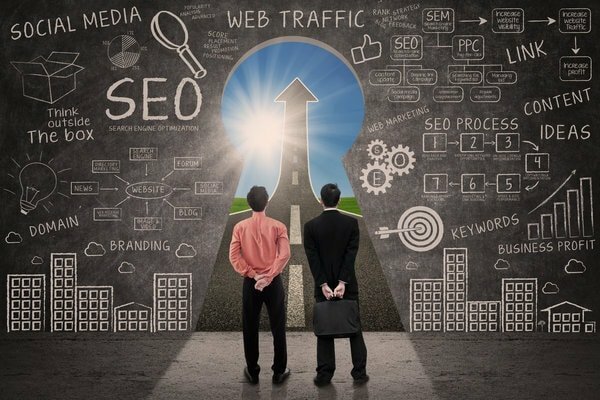 It looks like it’s all about selecting the offer that pleases you but, in fact, choosing the right host can be either beneficial or detrimental to your SEO. It needs to be a clean, trustworthy service first and foremost. If it fails to be so and your host engages in suspicious activities, then it signals to Google that all the connected websites are low quality. You don’t want your reputation to be dragged down like that because of your hosting. What most do is to optimise and polish everything for the visitors landing on the website for the first time. However, returning customers are the ones who play a huge role in the final ROI. Your website might be interesting enough to make viewers visit for the second time, but what do they find then? The same page and no novelty? Update your pages with new information and products, with new engaging content (text, images, videos) that shows them you’ve been active. Publish novelties with regularity and start a weekly/monthly e-mail newsletter to which your readers can subscribe. Clicking on your link landing on the page but hitting the X two seconds after that does not raise your online value. This is because search engines count the time spent by visitors on each website. If your bounce back quickly, it’s a sign you’re not doing enough to keep them interested. The key, once again, is having great content that keeps them interested. You may also opt for various tricks, such as pointing to a video to watch, in order to get more information on a topic. You could also opt for short quizzes. The more time people spend on your website, the higher its value becomes. In most cases, duplicate content needs to be eliminated. Boost your website SEO by removing any content that appears twice, since it gets seen as plagiarism and is sanctioned. If Google happens to index both HTTP and HTTPS versions of your pages, use the Google Search Console or similar third-party services to locate such errors. It’s a wholly different situation if you’re running two separate versions (designs) of the same page, though. In this situation, avoid penalties by using rel=canonical tags. These will show the search engine the ‘official’ page version and make it ignore the other. This isn’t the same as the robots.txt file. You should give enough contact information on your website, as well as on WHOIS. Don’t forget to register with the latter and disclose the details you can share with the world. Thus your website can be identified and trusted. It will look suspicious if there’s no such info. Contact forms placed on the website are also very important. User-generated content proves that your site is gaining some popularity and people are engaging with it. It’s a sign of value. Therefore, make sure to provide a space for your readers to voice their thoughts – such as a comments section. 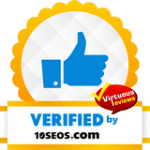 In addition, it’s a good idea to allow them to place testimonials, reviews and ratings on your website. Many businesses obtain a better revenue when they focus on the clients who are near. After all, why order something from overseas when you can find it within your community? This is how a lot of customers think and you must not ignore it. Start to optimise for local keywords. Include the name of your neighbourhood, town, city, state or region, so that interested people can find you easily. 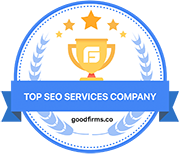 Our clients have been looking for a “London SEO agency”, and this is one of the keywords we created our content around. Don’t be afraid that it will sound weird, it won’t, as long as you integrate such keywords seamlessly and don’t overdo it. When your online marketing strategy includes articles and blog posts, you should include not just relevant headers, but also sub-headings. These get seen by search engines and communicate a well-structured post. Integrate appropriate keywords that you want to rank for and don’t forget to use header tags in your website coding. These are marked as H1, H2 etc. When you have a great website design and your business does not require much text, it’s easy to become lazy and just leave the space as it is. However, that’s no good sign to search engines. These need to see written content on absolutely every page. Regardless of what a page is about, make sure to include at least 200 words about it – or about your brand/business. Strive to have only original content, since duplicates aren’t allowed. If you are unsure of how to write these, have a professional writer cater to your in-page text and come up with the right kind of text. It could be product, service or category descriptions, advice, news, promotional offers, highlights and so on. Our consumer habits include countless online searches per day. Whether it’s about an artist we like, an affordable lawyer, the newest bar in town or a makeup product we may want to buy, we turn to the Internet to get the quick info we need. It’s there to assist us in every query. Now, when people introduce certain keywords to look for, you want them to find your website and find it relevant to the topic. That’s what’s going to bring you the much-desired traffic and potential customers. It’s where search engine optimisation becomes essential. If you think that SEO is too much of a burden to you or feels too confusing, then hire a digital agency to cater to its every aspect.